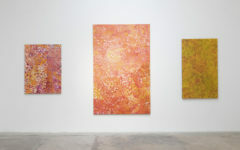 Mike Perry exhibition and installation shot at Garis & Hahn Gallery. Several changes have swept the New York art terrain and one of them seems to be the wind is moving to the west – well, West Coast that is. One of the unique Bowery spaces that we’ve worked with shuttered its shop in spring of 2016 then announced its move to the City of Stars – that gallery is Garis & Hahn. About a year later, we’ve caught up with the pioneering proprietors and how the transition turned out for them. We hope to get a unique insight from Mary Garis on what it takes to open up shop at both ends of the country. 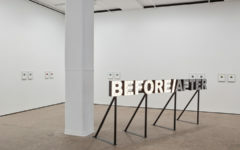 ARTE FUSE: Now that you have moved the gallery to Los Angeles from New York City, how was the transition and process of opening up the new space been like? Mary Garis: The biggest part of our transition from NY to LA, at least on a personal level, has undoubtedly been Sophie’s. She gave birth to her daughter Olivia last summer just before we moved. 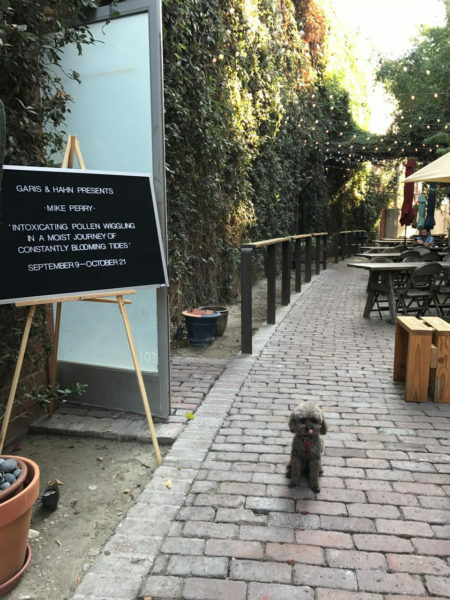 On one hand, Sophie needed to take some time to adjust to motherhood, but also, we both wanted to give ourselves time professionally to get to know LA a little bit better and really acquaint ourselves with the city’s art scene. 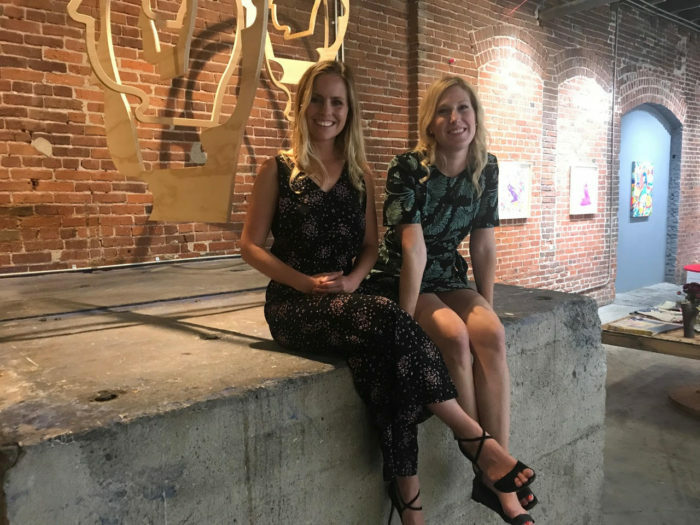 We kind of eased in, starting with a pop-up gallery in Hollywood in July 2016 with Samuel Stabler, and then participating in a few art fairs while we looked for a permanent space. The search for spaces was a more challenging and time-consuming undertaking than we anticipated: at first we could not narrow down a neighborhood. We probably asked every single person we encountered where they thought Garis & Hahn should locate. We looked in West Adams, Boyle Heights, Chinatown, Hollywood, Venice… the list goes on… before we came across the perfect space in the Arts District. We had narrowed it down to a few blocks in the Arts District where we knew we wanted to be, and this space kind of serendipitously presented itself. When we walked in we just knew it was meant to be, and three weeks later we had signed a lease. The space is a former mill, so it has tall ceilings and lots of exposed brick. 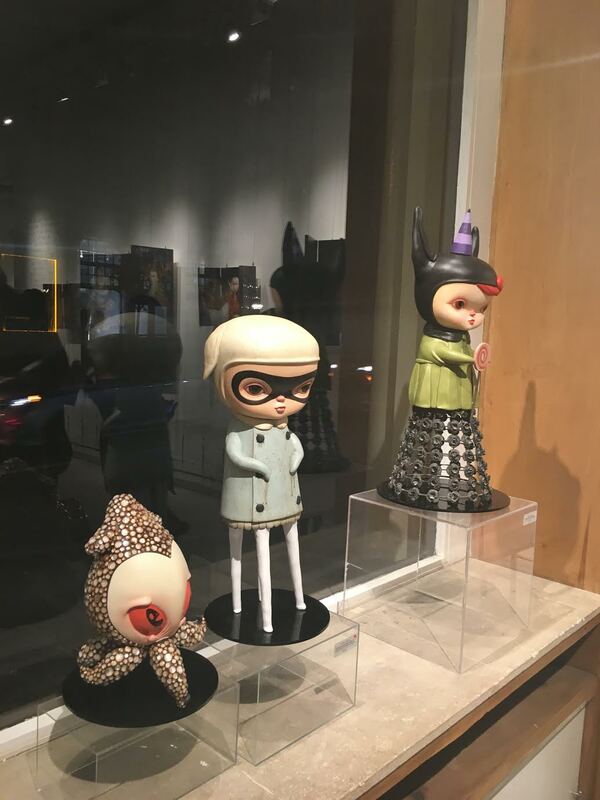 It is located in a very charming alley, which amusingly almost lends the gallery a very New York vibe (It almost reminds me of our former neighbor on the LES Freeman’s). We had been searching for a space for so long that we had our program fully ready to go, so once we signed the lease, we opened less than a month later. By comparison, I think our lease signing and build out in New York took at least half a year. AF: Why did you pick Mike Perry to be the inaugural show and what will be the type of artists you will feature in your programming? 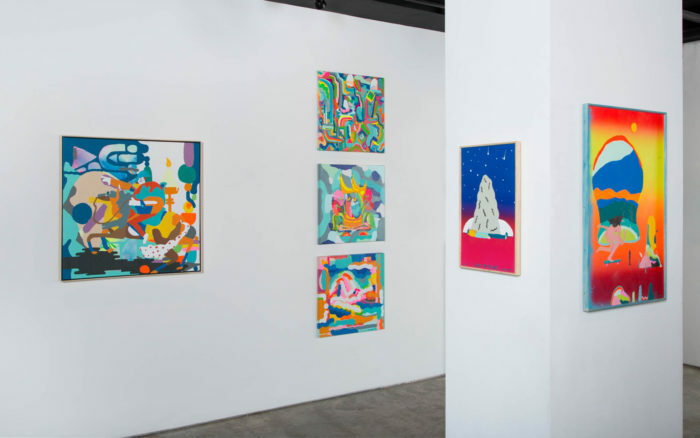 MG: A recent article about Mike Perry’s exhibition said the works have a very “California state of mind” (Art Nerd: http://art-nerd.com/losangeles/broad-city-illustrator-mike-perry-inaugurates-garis-hahn-new-dtla-space), and I agree with that statement. 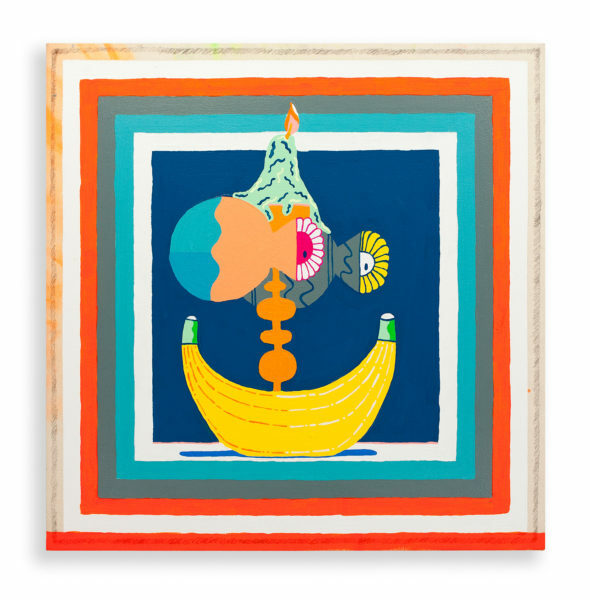 Even though the artist is Brooklyn-based, he employs bright colors, loose forms, and playful subjects in his work. Many of the paintings are imbued with this sense of nostalgia, with reference to art historical scenes, but they are so accessible and easily read that they appeal to a much broader range of viewers. Mike Perry was actually one of our last exhibitions in our New York space in May 2016, and in the past year, he created some really intriguing new work, including three-dimensional mobile sculptures that are an exciting addition to his oeuvre. The timing for our first show being in September worked out really well, because the artist, who has worked on Comedy Central’s Broad City creating the animated opening credits for all four seasons, actually participated in episode four of this current season. The episode, which airs Wednesday (today), features a fun surprise by Mike Perry, and that’s all I’m allowed to say about it. But we are really stoked about the episode and wanted to seize the opportunity to mount his show to coincide with this event. Plus Mike is just a lovely person to work with all around. The space looks incredible. The way he installed and utilized some of the construction materials left in our space to display works is brilliant. Sophie and I walked in and our jaws hit the floor. So it has been a really fantastic first show. 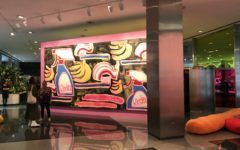 AF: It seems surreal that I made small talk with you a couple of years ago about the Art Renaissance in downtown L.A. – was the move because of the challenging real estate in NYC or a gut instinct to throw caution to the wind and explore the West Coast? MG: A little bit of both. Sophie being from Sydney and wanting to be closer to home, both geographically and even culturally with the casual beach vibe of LA, she has always had a soft spot for California- she even had her wedding out here, long before we moved west. 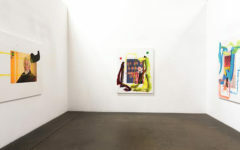 I visited LA for the first iteration of Pacific Standard Time in 2011 and was blown away by the art scene: the institutions, galleries (of which many, many more opened in quick succession in the years thereafter), and artists were of such spectacularly high quality, and I found that energy very exciting. One of the primary reasons the art scene in LA, at least commercially speaking in terms of gallery spaces, was able to grow so quickly was the cheap real estate. People here are obsessed with following real estate by the way. I read actual real estate blogs now about who’s developing what and where, and what’s the next hot neighborhood, and what kind of apartment can you get in this corner of the city for this amount. I did that a little bit in New York, that’s kind of how we ended up on Bowery, but not to remotely the same extent. Secondly, there’s the internet and its effect on globalizing the art industry. Having visibility in New York was fantastic, but we also have 24/7 visibility online, and we were doing quite a lot of business development at fairs. A storefront is essential – your artists need a physical space to exhibit work – but the internet has changed the whole game. Back to your question— we knew that in LA we could get more for less, and not just in square footage – amenities, quality of life, flexibility, so when we made the decision to head west, you’re right, we did throw caution to the wind. AF: Name the great things you enjoy in your current nabe compared to when you were in the Bowery back in NYC? MG: We have the supreme luxury of being located by possibly the best coffee shop in all of LA – the Daily Dose Cafe. They are located next to us in “The Alley” which is a space they cultivated with our landlord, and again, I cannot stress to you just how charming this alley space is. There are brick walls covered in ivy, and string lights, wooden picnic tables – we can sit outside in the alley in the afternoon and have coffee and take meetings. California is seriously the best. The DTLA Arts District is a big hotspot, and it does remind me of the LES or even Bushwick because some blocks will be very developed and others will be completely industrial – it’s not nearly as walkable as New York. When I’m not chilling in the Daily Dose Cafe alley with an iced coffee with ripple (that’s pea milk, yes we’re really leaning into that whole California thing), I enjoy going to a few nearby spots: Church & State, Everson Royce Bar, Pour Haus. Manuela, the restaurant at Hauser & Wirth, is a few blocks north, and they grow seasonal ingredients and raise chickens in a garden within the gallery complex- you just don’t see that in NY! Also, I think everyone in the neighborhood is eagerly awaiting the new DTLA Soho House (aka Soho Warehouse) opening next year- that’s about three blocks south of us. AF: How are the art enthusiasts, writers, and clients of Los Angeles been responding to your space? MG: This first exhibition by Mike Perry has gotten some wonderful attention and very encouraging responses so far. It was such a joy to finally be able to tell people we had found a permanent space! I was very worried about foot traffic in LA compared to NY, but we have had a pretty steady stream of visitors in the space daily. Even the Daily Dose Cafe patrons stop by, so it’s wonderful to feel like the space is being actively visited and seen. Once when I went gallery hopping in a different neighborhood of LA, a pretty well-known space actually had to turn the lights on for me at 3 pm. As in, no one had probably stopped by all day… the visitation habits here are different than New York- people don’t just stroll around. Every gallery in itself is a destination, not just a stop along the way. AF: What are the key Garis & Hahn philosophies that have remained or changed since the move? MG: In New York, we did a lot of group exhibitions, which allowed us to work with some incredibly talented artists and curators and really expand our reach and network with each show. We loved that format, but it was a lot of work logistically. 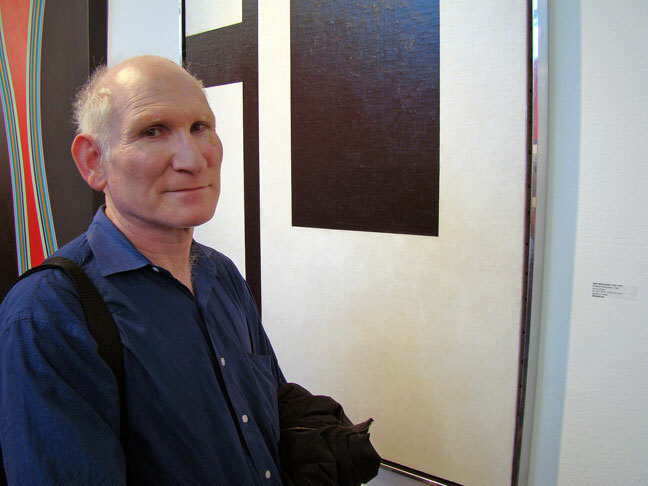 In LA, we plan to focus primarily on solo exhibitions, mostly with some of the New York artists with whom we have been working for many years, and then eventually, hopefully, a few more west coast-based artists and beyond. Undoubtedly, we will still do a few sporadic group exhibitions though, because we love curating and the opportunity to showcase work by multiple artists whose work we admire. AF: Los Angeles is obviously a far cry from the concrete jungle of Manhattan – so what are now your off the clock pleasures that you find doing more? MG: We had a work meeting on the beach in February, and that basically nullified any doubts we might have had about leaving NY at that point. Sophie’s off the clock activities have changed significantly due to parenthood. We both live on the west side (and commute to downtown- traffic that direction isn’t as horrible as one might assume), so we have really enjoyed exploring our new neighborhoods. AF: Give us a unique picture of what makes the West Coast art market different and what are your strategies to ride the wave? MG: Thus far, I’m not sure the West Coast art market differs substantially from that of New York. Being located in Los Angeles, of course, we will try to appeal to and cultivate local clients, but I am hopeful we will continue our relationships with clients in New York and abroad as well. AF: I’ve always said that I champion passionate and genuine people in the industry – losing you gals here in NYC though sad further impressed me that you go for what’s in your heart. Can you tell us what’s on the horizon for Garis and Hahn – the L.A. edition? MG: Thank you, Oscar! We miss you and many of our friends and associates in NYC – it’s a fantastic art community, and we miss being an everyday part of it. We intend to maintain a presence in New York as much as possible through fairs and visits, especially as we continue to work with so many New York-based artists. In LA, we have begun focusing on our program for the next 18 months, and we have some really fantastic exhibitions in store. Next up is Felix R. Cid, who we have worked with from our very first NYC show in 2013. For his forthcoming exhibition, the artist photographed events leading up to and following the elections both here and abroad, and the resultant works capture the emerging political climate in the West- it is going to be really, really good. This is actually our first solo presentation of his work, and as I mentioned earlier, probably our biggest shift for the gallery in LA will be the presentation of more solo exhibitions, as opposed to group shows. In 2018, we will present more solo projects: Karen Margolis, Andrea Mary Marshall, and Michael Maxwell to name a few. We also fully intend to continue having mid-winter work meetings on the beach. Nothing beats a meeting on the beach with the salty cool breeze and sand on your feet but that is the L.A. edition. We wish both Mary and Sophie continued success in their move and art business. There is something to be learned about the changing landscape of the art world – the old hierarchies are obsolete and crumbling. 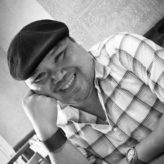 You have to innovate, adapt to the broader market created by social media, and change your business model of what a gallery should be. I think the chasm between the east and west coast is but a friendly rivalry that is just in theory. The world in general has changed – you either adapt or get left behind. It’s all one big global network. No one sits on an island anymore.